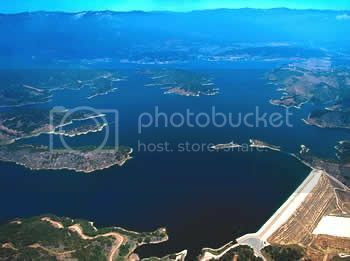 Lake Casitas is located between Santa Barbara and Ventura nestled between the sandy beaches of the coast and spectacular mountains towering over the Ojai Valley. 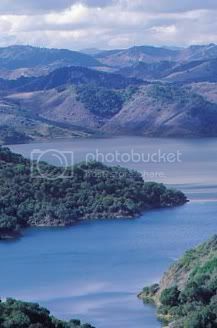 Lake Casitas has 32 miles of shoreline and 6,200 acres of oak trees and rolling hills. The lake is filled with trout, bass, catfish, crappie and sunfish with "world class" fish catches frequently recorded. Record Largemouth at this lake weighed in at over 21 lbs. Facilities include two boat launching ramps, large fishing docks, electrical and water hookup camping sites and picnic areas.